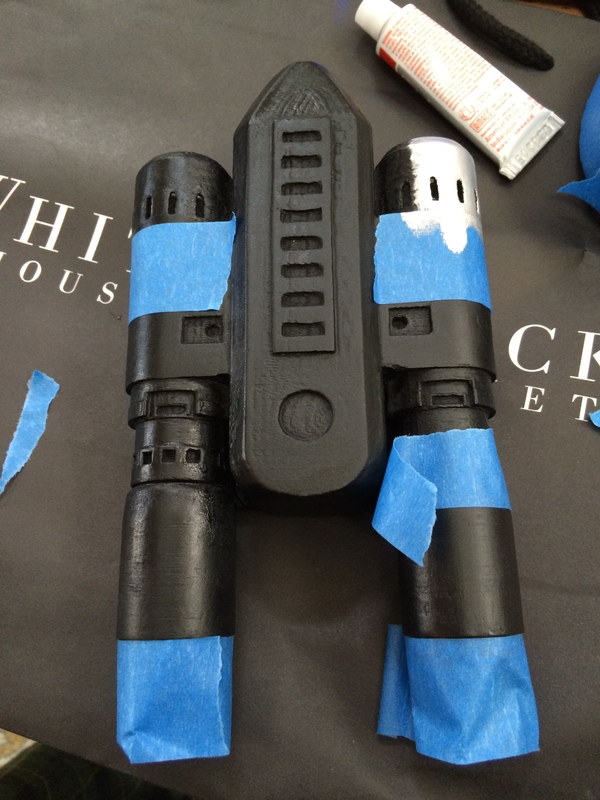 Rocket Boosters: Part 2 | Becoming Star-Lord. Believe it or not, I found the rocket boosters more difficult to finish than the blasters. 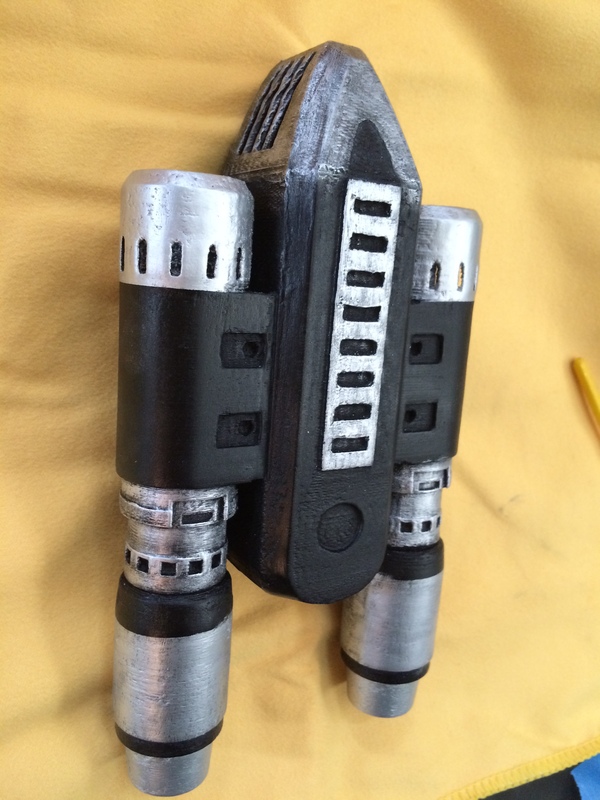 After applying the wood filler and sanding the appropriate parts smooth, I spray painted the blasters flat black. Here’s how it looked after the spray paint dried. I decided to use Rub-N-Buff for the silver parts because I liked how the blaster finished. I used painter’s tape to control where the silver went. It…mostly worked. I applied tape to try and control the silver as I applied it. Silver applied from the front. 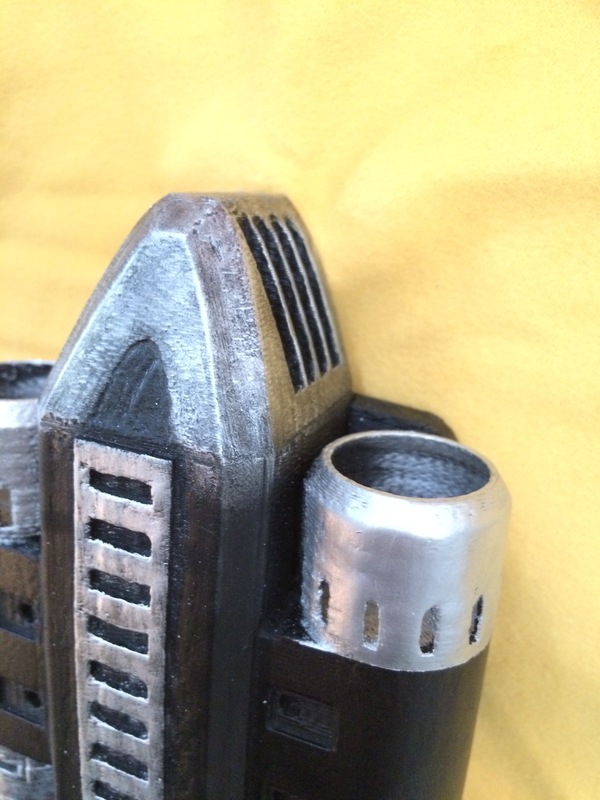 On the screen used prop, the metal on the top is blackened and fades into the black. I tried to replicate this. 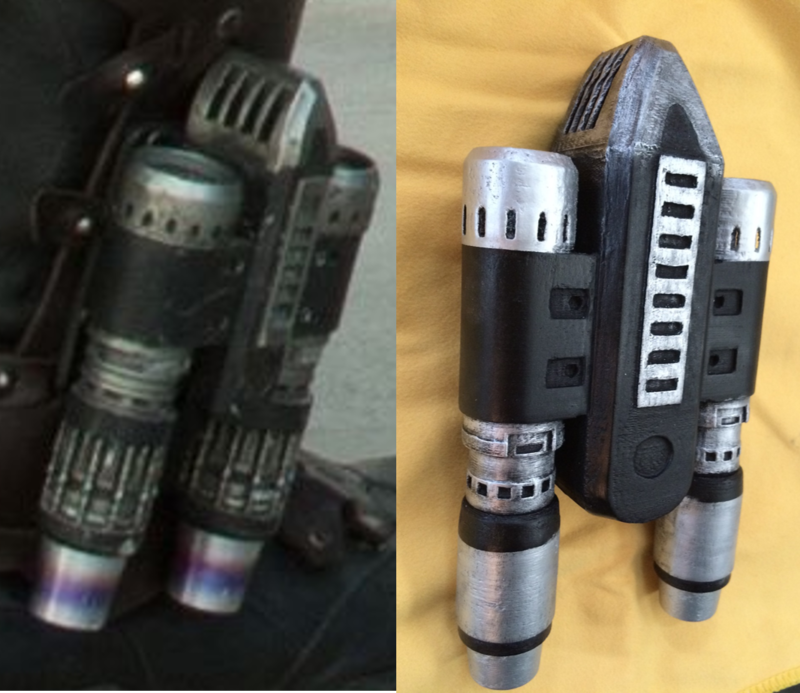 Here’s the screen used prop compared to the 3D printed version. 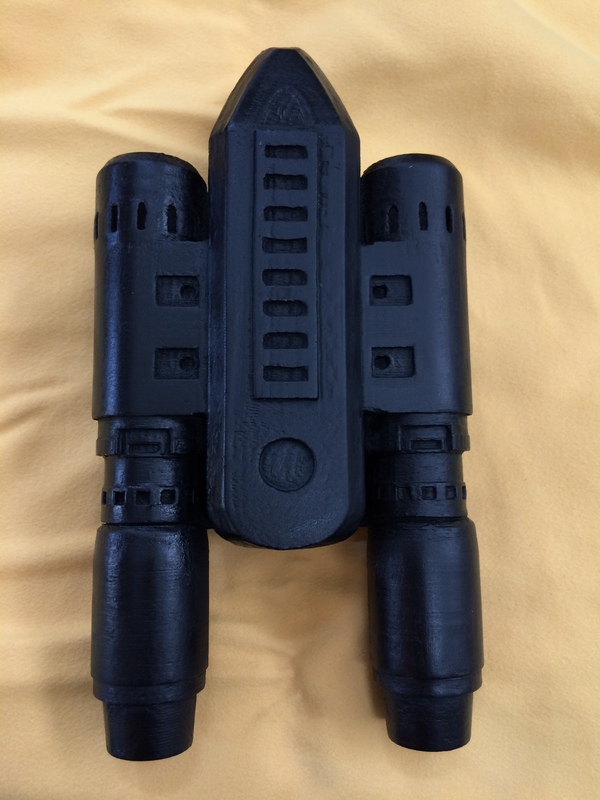 This is the screen used prop compared to the 3D printed one. There are still some details I have to work on. I want to apply a black wash to make it look weathered and some “battle damage.” I may or may not try and apply the bluing to the base. Stay tuned to see the final product. Thoughts or suggestions? Leave ’em! 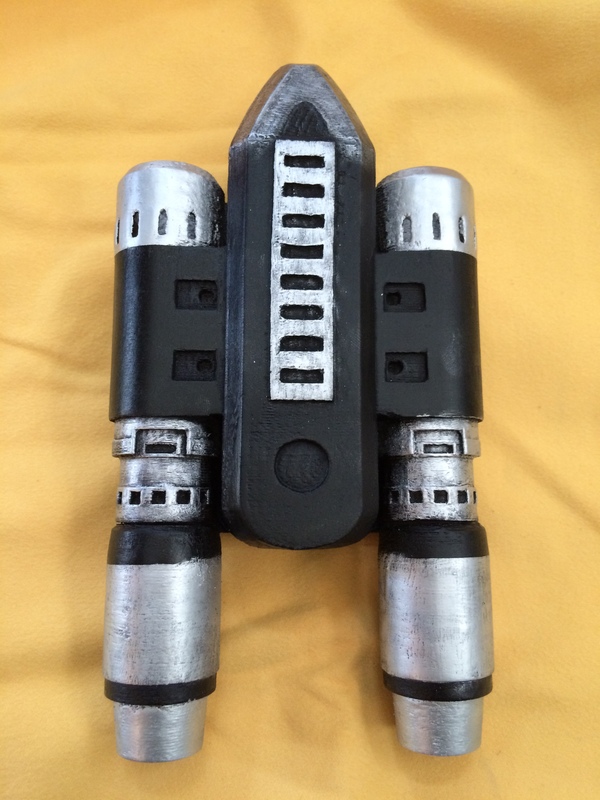 This entry was posted in Props, Rocket Boosters and tagged Chris Pratt, cosplay, costume, disney, guardians of the galaxy, Marvel, props, rocket booster, Star-Lord, Starlord on July 4, 2015 by Liam.